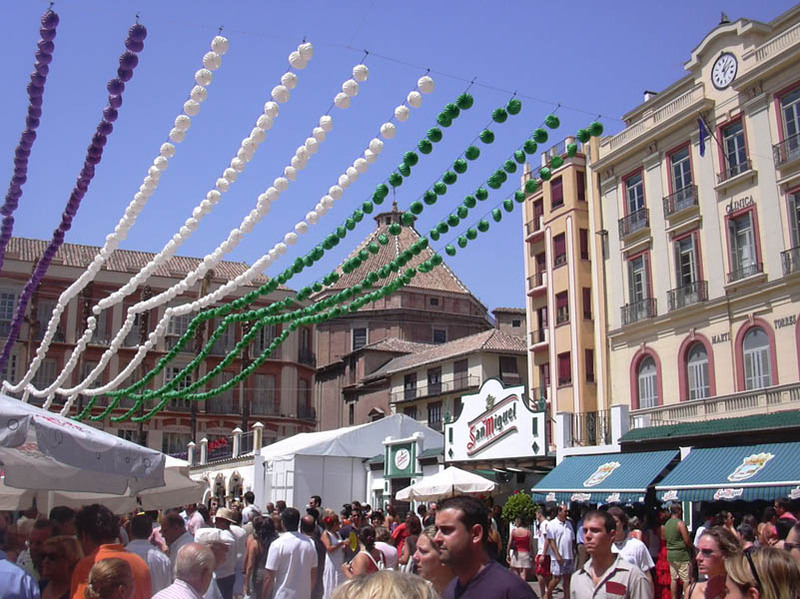 The Malaga Fair, in Spanish Feria de Malaga, is a festival that takes place in two areas; one during the day is located in the downtown area of Malaga and the night fair which takes place at Cortijo de Torres. With an audience of about 2 million visitors, the Malaga Fair is an important event on the Costa del Sol. During the fair you can enjoy a large number of events and activities for all ages and free performances by various artists. When is the Malaga fair? Dates for Malaga fair in 2018 is the 11th of August (Saturday) until finish, the Sunday 19th. 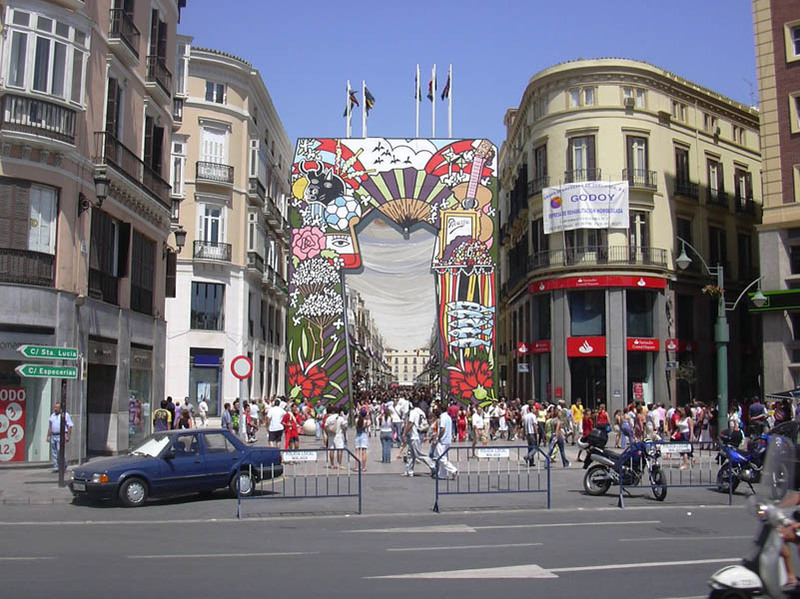 Why is feria de malaga celebrated? The reason of the Malaga Fair comes from the conquest of the city and its incorporation into the ancient kingdom of Castile August 19, 1487. The council subsequently decided to hold a celebration on August 15, 1491; an event which from the following year was held on August 19 where took place a procession with the royal standard with which had been conquered Malaga, starting from the Cathedral of Malaga to the church of Santiago where a Mass was celebrated. The Malaga Fair has been held in various locations throughout its history, from Pier Heredia (port of Malaga), the park of Malaga, Teatinos ... until it was definitively placed next to the Congress Centre of Malaga at Cortijo de Torres. Where is Feria de Malaga celebrated? At the Fair there are two options: The Day Fair and the Night Fair. 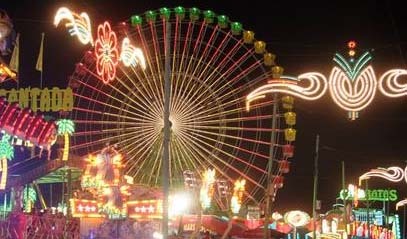 Located in a different location than the Day Fair, at Cortijo de Torres, the Night Fair is characterized by the large number of rides for all ages and a more comfortable temperature as during the day fair. At the fairgrounds you'll find places serving traditional food, fast food, stalls to buy pancakes and various stalls with all kinds of music. 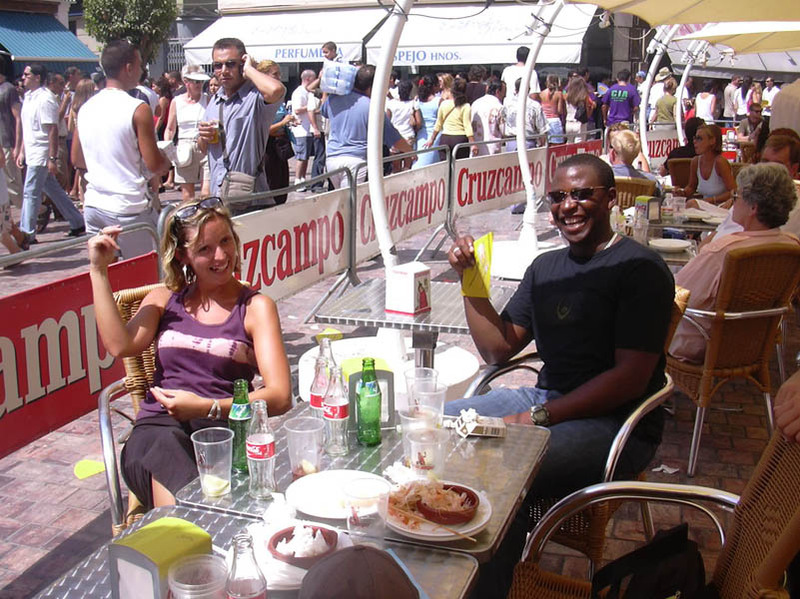 During the Day Fair you will find a large number of people from around the world, tourists who spend their holidays in the province and who decide to visit the centre of Malaga to enjoy good food and drink. The downtown streets are decorated throughout the duration of the fair. 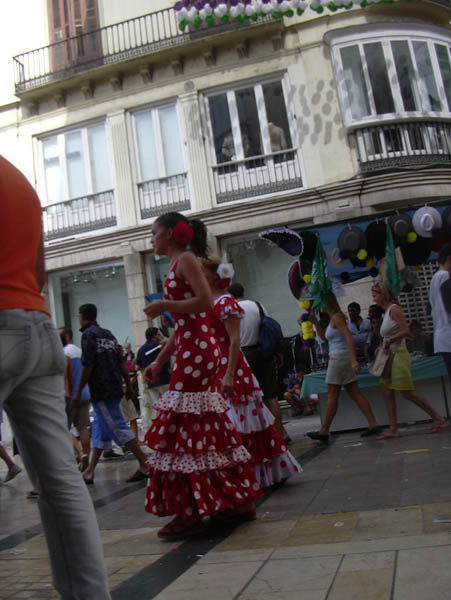 Folk music and dancing abound in the streets of the city, as well as music for all tastes where predominates the typical Verdiales music. There are food stands at the Night Feria and bars and restaurants at the Day Feria area. The following calendar is updated yearly. 9:30 pm: Lighting and fairgrounds inauguration with the performance of the Municipal orchestra of Malag and fireworks. 10:00 pm: Festival for kids at the Municipal Children fair booth. 10:00 pm: Typical dancing from Malaga at the Verdiales fair booth until the 3 am. 10:30 pm: DJ guest performance at 'Explanada de la Juventud' area. 11:00 pm: Performances at the Flamenco Municipal fair booth. 11:00 pm: Live concert of two Spanish bands at the Municipal Auditorium. 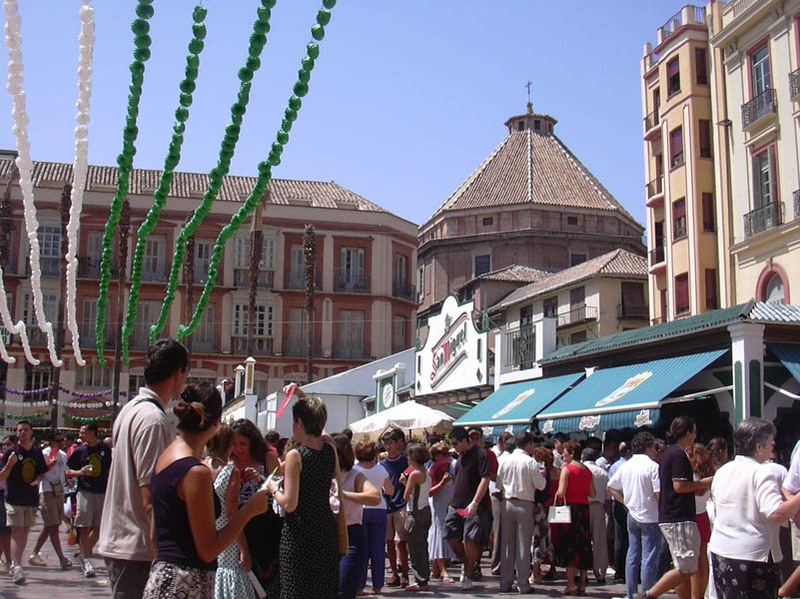 The fair week takes places both at Malaga city centre as at the Fairgrounds with activities for everyone. Plaza de la Constitución: From 1:00 pm. to 6:00 pm. Plaza de Uncibay: From 4:00 pm. to 6:00 pm. Plaza Mitjana: From 3:00 pm. to 6:00 pm. Plaza de Las Flores: From 3:00 pm. to 6:00 pm. Plaza del Obispo : From 12:00 am. to 6:00 pm. Plaza de San Pedro de Alcántara: From 1:00 am. to 6:00 pm. Calle Larios: From 1:00 pm. to 4:00 pm. and from 2:00 pm to 5:00 pm. Plaza de la Merced: From 12:00 am. From 12:00 am to 3:30 pm. there will be games, workshops and activities for children at Alcazabilla street. 12:00 am. to 8:00 pm: Horse ride and draft horse showing with official route through the fairground. 2.00 pm: Acting in the municipal booth of flamenco and copla. 4.00 pm. and 10.00 pm: Equestrian show at the Equestrian Exhibition Centre. 10.00 pm: Activities for children in the municipal children booth. 10.00 pm: Typical regional dancing in the fair booth of los verdiales. 10.30 pm: Dj performance in the Explanada de la juventud. 11.00 pm: Flamenco show in municipal booth of flamenco and copla. 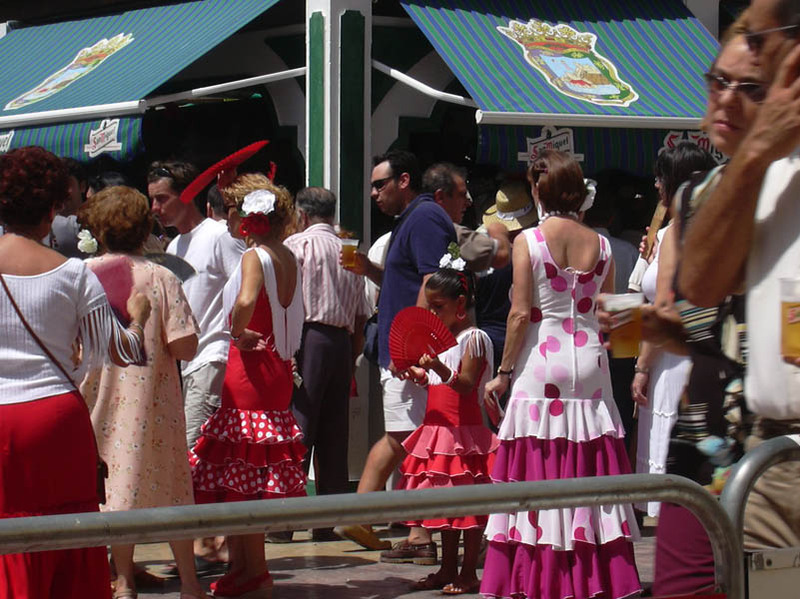 There are a few events you can visit in Malaga the last fair day. From 12:00 am. to 3:30 pm there will be games, workshops and activities for children in Alcazabilla street as during all the fair week. Historical Parade representing the entry of the Catholic Kings in the city. The event will take place at 8:00 pm. 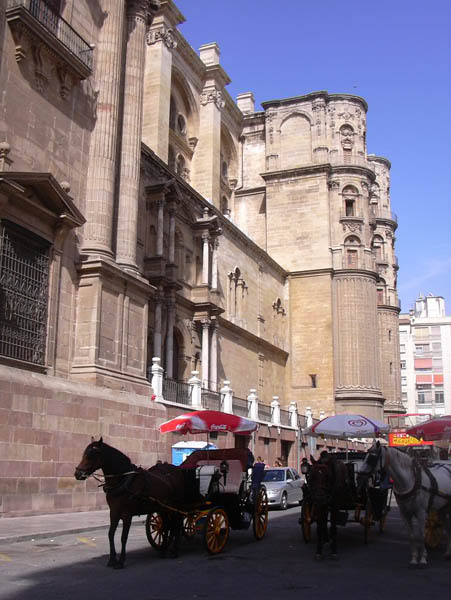 Itinerary: Calle Cister, passing by other locations like Calle Larios, Plaza de la Constitución, Calle Granada, Plaza de la Aduana and Calle Alcazabilla. 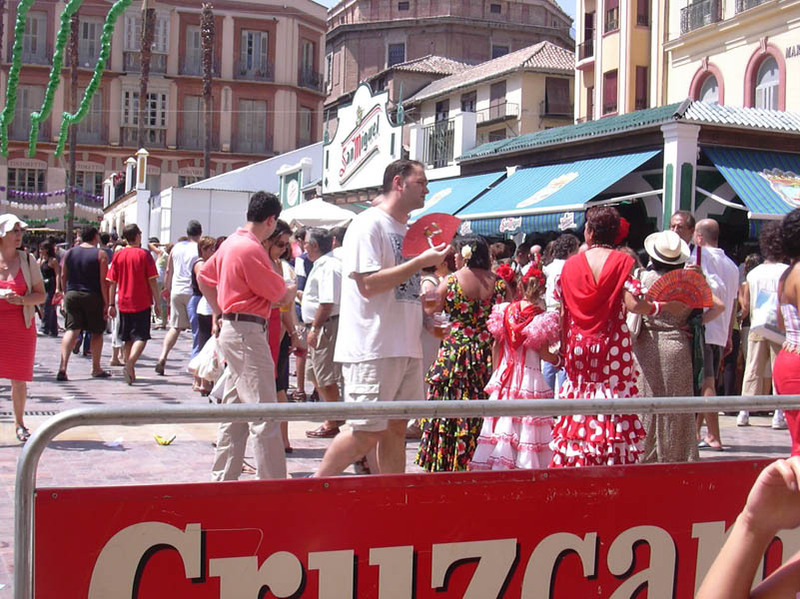 For the duration of the fair is operated a special bus service from Malaga centre and various points of the Costa del Sol and there is also an extended subway schedule. There are bus services available from: Benalmadena Costa, Torremolinos, Rincon de la Victoria, Alhaurin de la Torre, Casabermeja, Santa Rosalia o Cartama. To get to the Day Fair we recommend using the commuter train, for the Night Fair you can use public transport or go with your own vehicle, in case of using the train you must exit at the Victoria Kent station, the fairground is a few minutes walking from there. The following map shows the situation of the fairground.